If the axiom “the corruption of the best is the worst” is true of persons, it can also be true of institutions, and perhaps even of nations as well. Too often this proverb, which ought to be a perennial caveat, ends up being a reflection upon some sad story of a once great but later vanquished paragon of virtue. The lesson’s examples are too many, but as far as Catholic missionary orders are concerned, the maxim certainly applies to Maryknoll. Neither this book nor its review is specifically concerned with the immediate reasons behind the meteoric rise and abysmal fall of America’s first Catholic missionary society, although some background knowledge of the characters involved with the order’s founding is essential if we are to comprehend what occasioned the ignition of that holy flame that burned in the hearts of Maryknoll’s pioneering apostles. That information will follow shortly. Our book, however, deals essentially with the life of one man, one of many zealous missionary priests that Maryknoll sent to China before the Communist onslaught. He was Father Joseph Lavin from Framingham, Massachusetts. In China his people called him Luk-Shan-Fu, “Spiritual Father.” At home, he was tagged with the nickname “Iron Man” on account of an article in Time magazine that referred to him as such; it was written by Time’s correspondent in China, Theodore White, who had accompanied our priest on one of his long treks to bring the sacraments to some remote mission outposts. That moniker would forever belong to Father Lavin. In letters to his family, however, he either signed himself “Father Joe,” or more often than not, just plain “Chinese Joe.” The Iron Man was as unassuming as he was guileless. After providing some historical data about the founding of the Catholic Foreign Missionary Society of America (the actual name of the order that came to be called “Maryknoll”), our author, Dr. Paul Lavin (a clinical psychologist), begins his story of the Iron Man (his uncle) where biographies usually begin – with the subject’s childhood days, family life, education, and major formative influences. No doubt due to his experience in the field of assessing the causes of man’s psychological patterns of behavior, Dr. Lavin provides the reader the most essential experiences (with ample and feisty anecdotes) and influences that shaped the fascinating character that is the hero of our story. Father Lavin’s exemplary Catholic parents (the author’s own grandparents), his five athletic brothers and four devoted sisters, and his inspirational Sunday school teacher, Monsignor Garrahan, all contributed in the forging of that spirit of self-sacrifice that was our missioner’s dominant virtue. In fact, before he died, the monsignor, who had a tremendous enthusiasm for the foreign missions, was personally responsible for sending to Maryknoll five seminarians (all made it to holy orders) and five young women for their sisterhood. All ten of these religious were from Framingham. One will observe upon reading this story that our hero’s greatest loves were our Lord in the Blessed Sacrament and our Lady. And he was absolutely devoted to the traditional Latin Mass even after the vernacular Novus Ordo had begun to make its debut in American parishes. Father Lavin died in 1971, his iron body worn out from twenty years of a paltry diet that could never adequately meet the physical demands emanating from his excessive labors. He was sixty-four. After requesting and receiving an early retirement from Maryknoll in 1961, the missioner spent the last ten years of his earthly ministry joyfully serving his own home parish of Saint Stephen in the Bay State. Drawing from a thirty-year supply of personal letters, almost all of which were written from his uncle’s various mission posts (some, of course, from the seminary), Doctor Lavin enables readers to place themselves, through imagination, in the company of a real apostle who led a very adventurous life in the vineyard of our Lord. These pious letters (most read like short sermons) have an unsophisticated and childlike quality to them. The author also uses the many newspaper and magazine articles written about and by his uncle in order to tell of his most exciting and, at times, heartrending exploits. Since these informal letters to his parents and siblings provide the framework upon which the Iron Man’s story is constructed, there is a definite autobiographical ring to the account of the missioner’s life. From his first days at the seminary in Ossining, New York, throughout all of his twenty years of priestly labor in China, ending with his final ten-year parish apostolate at Saint Stephen’s, the reader can readily appreciate how heroic charity can consume a man of holy desires. Then, too, through the letters of “Chinese Joe,” the reader truly gets to know the Chinese people and their culture, i.e., their exemplary family virtues perfected in the grace of Christ, as well as their vices exploited by the oppressive, dehumanizing façade of Communist egalitarian ideology and indoctrination. What makes this story so inspiring, I could even say refreshing, is that our subject is delightfully ordinary in his extraordinary apostolate. Or, so it would seem on the surface. From the evidence our author has garnered, it would appear that his uncle worked no miracles (although his courageous priestly activities and magnanimous works of charity were manifestly works of supernature), nor did he have huge flocks of converts beyond the individual ones, here and there, that came into the Church, one by one – usually with their families. In fact, since the Oriental culture has always been so ancestrally patriarchal, when the father of a family converted to the Faith, everyone in that family did, too. For better or sadly at times for worse, with the Chinese there was no question, naturally speaking, that “Father knows best.” Unlike his patron, St. Francis Xavier, Father Lavin had to content himself with fishing by hook rather than by net. One of our missioner’s greatest consolations was the knowledge that the hundreds of sick or handicapped little orphan babies who had been dropped off at his mission, and died there, went straight to heaven with the proper credentials. This was a tremendous consolation. In fact, at the Loting mission, which was our missioner’s first assignment (1932), the Maryknoll priest who had founded it had died of smallpox five years before Father Joe’s arrival. Father Daniel McShane contracted the contagious disease after baptizing a mortally infected infant. Fourteen days after placing the infant in a tiny wooden crate of a casket, and dispatching the little one off to heaven, he was laid in a casket of his own, a martyr for holy baptism. If Father Lavin was a saint, he certainly did not know it, and he did a good job of hiding it behind his addiction to good tobacco and his light-hearted Irish sense of humor. If someone took himself too seriously, or was the least bit affected, such a one would not have enjoyed the company of the Iron Man. In fact, Father Lavin would have made sure to drop such a one down a peg or two – for his own good, of course. Beyond the priesthood Joseph Lavin received no ecclesiastical promotion, and he certainly did not want one, although his Herculean achievements in China, his linguistic fluency in both Cantonese and Mandarin, his writing ability (several of his articles were published in The Field Afar magazine), not to mention his acute organizational skills and keen eye for detail, should have, perhaps, merited him a mitre. On the other hand, the obligations ensuing upon the latter office would have been a burden Father Lavin never would have carried unless put under obedience to do so. He loved his pastoral life, as a priest tending his flock, too much; he surely would not have wanted to bear the weight of a shepherd pastoring other shepherds. China was a free country of about a half-billion people when Father Lavin arrived in 1932; however, its relation with the West and Catholic missionaries had been anything but hospitable over the Christian centuries, as its perennial policy had always been one of isolationism born of xenophobia. The Chinese could hardly be blamed for that. It was unfortunate in the extreme, however, that their fear of foreign “contamination” also included the one true religion. This is not to say that the Faith had never been introduced into any part of this land of nearly four million square miles. Dominican missioners came in the thirteenth century; the Jesuits were tolerated there for a little over a century before an anti-Christian persecution, launched in 1704, left the nascent Church priestless; and the Church made headway there again, in 1849, when the Paris Foreign Mission Society re-entered the country to the joy of eight thousand Catholics still persevering in the Faith. By the time the first Maryknoll contingent arrived in 1918, Kwangtung Province alone (south China) counted five thousand Catholics. By 1932, Marxist revolutionary ideology had invaded China and it had begun to spread principally in the northern provinces, targeting (as the program dictates) writers, industrial workers, professors, and students. Mao Tse-Tung was then already forty years old. The missionaries, however, had no inkling of that threat. What they did fear was the well-armed and imperialistic Japanese who were about to invade China’s spacious and fertile lands. That invasion came in 1937. World War II was on the horizon, and Pearl Harbor was only four years away. In this ominous scenario, Father Lavin and his fellow Maryknollers were ordered to stay at their posts by Maryknoll Superior General James A. Walsh even though President Roosevelt had warned all Americans to leave the Far East. Every Maryknoller did just as his religious superior commanded. True to their vocation, faithful to their flock (and to all the Chinese who depended on their charity), these heroic Maryknoll priests risked their lives every day in ministering to their charges. This risk increased exponentially after America entered the war in 1941. One need only read about the incredible Sancian rice ferry that our hero, Father Lavin, conducted for the starving people on Sancian Island in order to appreciate what kind of iron men came out of Maryknoll mission headquarters in the society’s halcyon years. Indeed, if these grateful islanders had their way, they would have engraved this epithet on his tombstone, words by which one of them once affectionately recalled the Iron Man in memory: “Luk Shan-Fu was braver than a pirate, but he had a heart – a heart as soft as a flower.” Hardly had these missioners time to breathe freely again in their paternal visitations to mission outposts far and near after the war ended (although they were never actually “free” – ubiquitous river pirates, drug thugs, and highway robbers were an ever-present danger) when the Communist threat became a nightmarish reality. A large part of our story deals with this period of Father Lavin’s apostolic adventure – beginning with the final defeat of the Nationalist forces by the Red Army in 1949, and ending with our missioner’s expulsion from the country in 1953, after two tormenting years of an in-house imprisonment that included impromptu interrogation sessions, two bogus open-air “peoples’ court” trials, and incessant harassment from brainwashed juveniles. Having provided you with just a glimpse of the major events that bracketed the roughly twenty years (1932-1953) during which time the Iron Man served the Chinese people, let’s fast forward briefly and highlight today’s troubling scenario in China before we continue our survey of this exciting biography. China is very much in the news of late as the crisis escalates between free Taiwan and the militaristic Communist tyrants on the mainland. The invasion of the nationalist island nation of twenty-five million (which represents independence and refuge for all freedom-loving Chinese) by the saber-rattling leviathan across the sea appears to be imminent. Catholics, loyal to Rome, are persecuted relentlessly in the Communist nation of one billion people; their native priests and bishops are repeatedly arrested, imprisoned without trial (or, as the state police euphemistically spin it, “detained”), and sometimes sent to die in slave labor camps. Since 1996, twenty-seven priests (seven of whom were hauled in by police for “re-education” on April 26, 2005) and nineteen bishops have been arrested. Six of these bishops have not been released and, on account of the fact that the government denies knowing anything concerning them, they are feared to be dead. Two of these had already been in prison for very long terms – one, twenty years, the other, thirty. The other thirteen are either under house arrest or otherwise prevented from exercising their ministry; none of them are allowed clerical visitors; all of them are ill. And these figures (supplied by the Cardinal Kung Foundation and Zenit news agency) only apply to those clergy who have been arrested since 1996. One of these prelates, the eighty-three-year-old Bishop of Zhending, Jian Zhiguo, was arrested soon after the seven priests mentioned above, all of whom are from his diocese. Although the seven priests were released two days later, the whereabouts of their bishop is still unknown. Another bishop, Joseph Fan, who had been in prison since 1958, was released in 1991 – that is, what was left of him; his venerable remains, broken limbs, and a crushed skull were delivered in a plastic trash bag to his family without explanation. The Catholic Foreign Missionary Society of America (Maryknoll), the first foreign missionary order founded in the United States, was the inspiration of two diocesan priests, one of whom was the son of Protestant converts. Father Thomas Frederick Price from North Carolina was raised by a very pious mother, Clarissa, who had converted to the Catholic Faith at the age of eighteen. This act so enraged her parents that they evicted her from the family house and disinherited her. After wandering about homeless, the young convert was adopted by Dr. and Mrs. Frederick Gallagher, a Catholic couple who lived in a nearby town. After Clarissa had paid so high a “price” for her faith, the good God reimbursed her with another “Price,” an Episcopalian newspaper editor named Alfred, whom she married and later converted by her good example – but not until after they had raised ten children. Thomas was the youngest of the ten. Upon graduating from Saint Charles Seminary in Baltimore, Thomas Price was ordained in his home parish in Wilmington, North Carolina, in 1886. He was the first native “Tar Heel”1 to be ordained to the priesthood. Father Price also launched a periodical called Truth for the purpose of “converting every Tar Heel to the Catholic Faith.” To realize his zealous agenda, the young priest founded a seminary, Queen of Apostles, near Nazareth House. Here levites from other seminaries would come to be trained for the mission field of rural America. When its doors opened in 1902, twenty-five seminarians checked in. 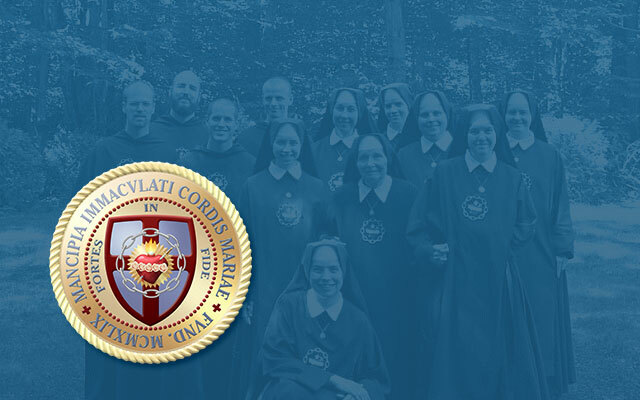 The young men loved the challenge of this rural apostolate and, upon taking their training into the American woodlands, they converted both wayward Catholics and many Protestants who had been completely ignorant of Catholic truth. For three years Father Price’s Queen of Apostles trained scores of seminarians for the rural mission field; however, when the seminary was destroyed by a fire in 1905, the founder had no means to rebuild it and so he began dreaming of a much larger apostolate. At the dawn of the twentieth century, our nation was only one hundred and twenty-four years old. Up to that time the Church in America had contributed very few men and not much money to missionary apostolates in foreign lands. In fact, the United States itself was still listed in Rome as a “mission” territory by the Congregation for the Propagation of the Faith – that is, until the year 1908, when Pope St. Pius X updated the Propaganda Fidei’s list of mission lands. Father Price was determined to establish a seminary that would specialize in training American missionaries to bring the Catholic Faith not only to ignorant Christians here, but to unbelievers across the globe. Meanwhile, he continued publishing Truth, and he recorded his magnanimous ideas therein. The other co-founding priest, Sulpician-trained Father James Anthony Walsh, was the head of the Propagation of the Faith for the Boston Archdiocese and the editor of their magazine, The Field Afar. He, too, was dismayed over how few priests from America served Christ in the foreign missions. In the providence of God, he and Father Price met in Montreal, in 1910, at the first Eucharistic Congress held in the western world. That meeting was the “conception day” of Maryknoll. In June of 1911 the two priests were summoned to Rome, where, on the 29th, the feast of St. Peter, their Society received permission from St. Pius X to open a seminary in New York State. The site for the seminary was in the town of Ossining, on the top of Sunset Hill overlooking the mighty Hudson River. That hillock, which rose above all others that elevated the rugged terrain around it, was renamed Mary’s Knoll by the Fathers. Engulfed deep in death’s cold, dark abyss. Shall he forever be a child of wrath? And plant the cross in every land. Maryknoll would be the first order created specifically to train American foreign missioners. In the early twentieth century, European missionaries dominated the foreign field, as they always had. And it was no secret that the missionary veterans from the Old World considered priests from the United States to be far too soft for the rugged life of a missioner. That misconception would change when they came to know the “special operation” troops that came out of our Lady’s knoll in New York in the glory days of the American Foreign Missionary Society. To someone not knowing the story about the man whose life is recounted on these pages, The Iron Man of China may seem a curious title. As noted earlier, however, this moniker was not the invention of the author of this book. It was given to Father Lavin by Theodore White in an article that the news correspondent wrote for the May 19, 1952, issue of Life magazine – an article that dealt with the Communist persecution of Catholic missionaries in China. Except for a year furlough home in the States, Father Lavin served the Chinese people for twenty years (1932-1953), traversing thousands of miles by foot and bicycle, and exposing himself to all kinds of life-threatening dangers. Whether it was from roving bandits, river pirates, Japanese invaders, rabid Communists, or his daily proximity to the contagiously diseased, this Maryknoller had all the “mettle” his well-deserved title implied. It was on April 1, 1953, that the Communists finally expelled him from the mainland, threatening him with death if he should ever return. This is not just the story of one priest. It is the story of many other Maryknollers, priests and sisters, who labored in China. Their stalwart dedication, courage, and endless corporal works of mercy earned them the love and respect of their adopted people, rich and poor alike. There are an estimated ten million Catholics, loyal to Rome, in China today. They have all paid (and do now pay) a heavy price for their faith, especially the clergy. However, without missionary priests, like Joseph Lavin, and bishops, like James E. Walsh (whose private Mass this book reviewer was privileged to serve thirty-five years ago), the true Church in China may never have been so firmly established. Let us pray for China. May God grant that the blood of her holy martyrs be the seed of a vibrant Church in that vast land, and may His merciful hand soon remove the heavy yoke of her Communist oppressors.